The PMW-F3K is equipped with a Super 35mm sensor which is the same size as Super 35mm film and has been specifically developed for digital cinematography. 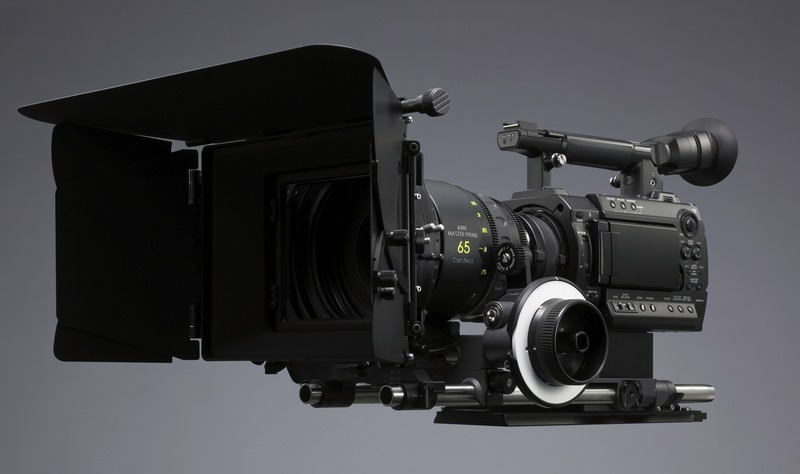 Its positioning within the chassis is exactly the same as it would be within a 35mm film camera – ensuring exactly the same optical performance with the unrivaled range of 35mm Cine lenses. In addition, Sony’s advanced accumulated sensor technologies provide an excellent sensitivity of F11 (ISO 800)* and a remarkable signal-to-noise ratio of just 63 dB*. Unique Exmor™ sensor offers exceptional noise reduction and greatly reduces power consumption. *All measured at 1080/59.94i and typical value. My, what big sensor you have... all the better to see you with. Let's hope that this sensor comes with light gathering ability similar to vDSLRs but also with the low pass and IR filtering that would blor vDSLRs away. To make your entry into the world of 35mm as easy and economical as possible, the PMW-F3K comes supplied with three high quality Sony lenses (35mm, 50mm and 85mm, T2.0). The PMW-F3K is supplied with a PL Mount Adapter to provide immediate compatibility with the huge range of filmic 35mm lenses, including prime, digital cinematography and even still lenses. There are also hot shoe electric interfaces for Cooke/i and ARRI LDS. Sony plan to introduce a range of zoom lenses directly compatible with the F3 mount. More details will be revealed shortly. Zoom lens compatibility expands the operational flexibility of the F3 so it can be used for almost any application. 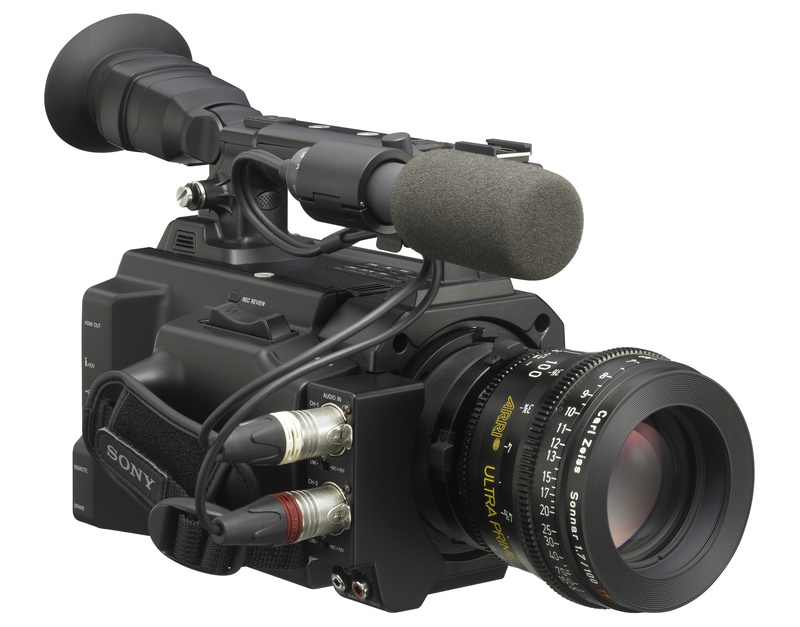 The PMW-F3K camcorder is the first compact camcorder to be a member of the legendary Sony CineAlta™ family. It offers native 23.98P* recording which, in combination with advanced creative features such as selectable gamma curves, makes this camcorder ideal for cinema production. *In 1440 x 1080/23.98P (SP) mode, images are handled as 23.98P and recorded as 59.94i signals through means of 2-3 pull-down. The PMW-F3K offers a powerful ‘Slow & Quick Motion’ function – commonly known as over-cranking and under-cranking in film shooting – enables users to create unique ‘looks’ or special effects with slow -and fast- motion images. This can be selected on the control dial on the side of the camcorder. The PMW-F3K can capture images at frame rates selectable from 1 fps (frame per second) to 60 fps in 720P mode and from 1 fps to 30 fps in 1080P mode, in increments of 1 fps, onto a single card. For example, when viewed at 23.98P, images captured at 60 fps will appear 2.5 times slower than normal. Conversely, images captured at 4 fps will appear 6 times faster than normal. With the ‘Slow & Quick Motion’ function of this camcorder, images are recorded natively without interpolating the frames. This means the quality of the slow -and fast- motion images is extremely high and incomparable to those created in the editing process. In addition, these slow -and fast- motion images can be played back immediately after shooting, without using any converters or processing on nonlinear editing systems. This is probably how a lot of people will buy this camcorder, as the basic "body only" kit. The PMW-F3K camcorder records 1920 x 1080 HD images using the ‘MPEG-2 Long GOP’ codec, which conforms to the MPEG-2 MP@HL compression standard. ‘MPEG-2 Long GOP’ is a mature codec – also adopted by the XDCAM HD and HDV 1080i series of products – which enables users to record stunning-quality HD footage with highly efficient, reliable data compression. The PMW-F3K camcorder offers a choice of bit rates – either 35 Mb/s (HQ mode) or 25 Mb/s (SP mode) – depending on the desired picture quality and recording time. The HQ mode supports both 1920 x 1080 and 1280 x 720 resolutions. The SP mode supports 1440 x 1080 resolution at 25 Mb/s, which provides compatibility with HDV 1080i products. Her, take note of the FOUR big screw mounting holes right on the camcorder. This is in addition to the light stud just in front of the viewfinder and the cold shoe over the lens. That's a lot of mounting options! 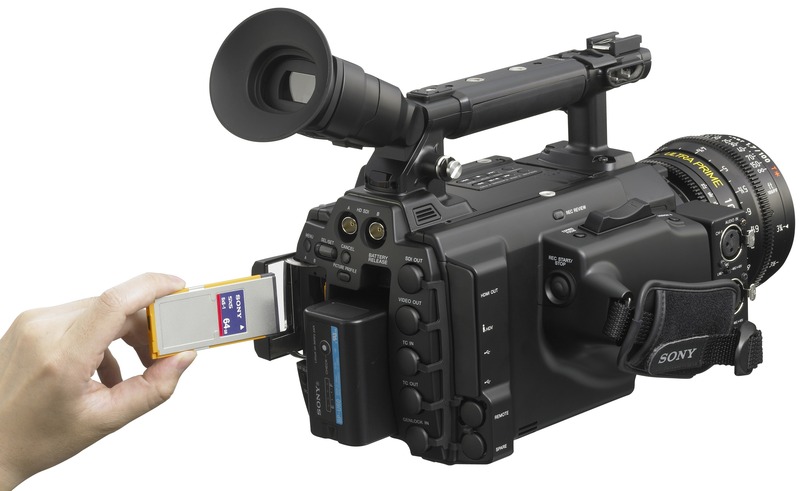 The PMW-F3K camcorder offers a wide array of recording formats for multiple content creation applications. Scanning mode is switchable between 1920 x 1080, 1280 x 720, and 1440 x 1080 resolutions. Frame rate is also selectable from interlace and progressive – 59.94i, 50i, 29.97P, 25P, and native 23.98P*. In addition, 59.94P and 50P progressive recording is available in 1280 x 720 mode. The SxS memory card can simultaneously hold multiple files of any of these recording formats, allowing for flexible use of the memory card. The PMW-F3K camcorder offers a ‘Slow Shutter function’ for capturing clear images in low-light environments. This allows the shutter speed to be extended to a maximum of 8 frames. The ‘Slow Shutter function’ not only increases camera sensitivity but also produces a special blurring effect when shooting a moving object, for enhanced shooting creativity. The shutter speed is selectable from 2-, 3-, 4-, 5-, 6-, 7- and 8-frame periods. The camcorder looks good from every angle. And, with a stereo mic attached, it looks much more road-ready than a vDSLR. You have to wonder about the zoom rocker on the handle, though. Sony shows it off with prime lenses, but there will be several "video" lenses that will come out for this camcorder that ease the transition for Videographers who are used to being able to execute a feathery smooth zoom with their right hand in the grip. In addition to HD recording, high-quality audio is an equally significant feature in the XDCAM EX system. 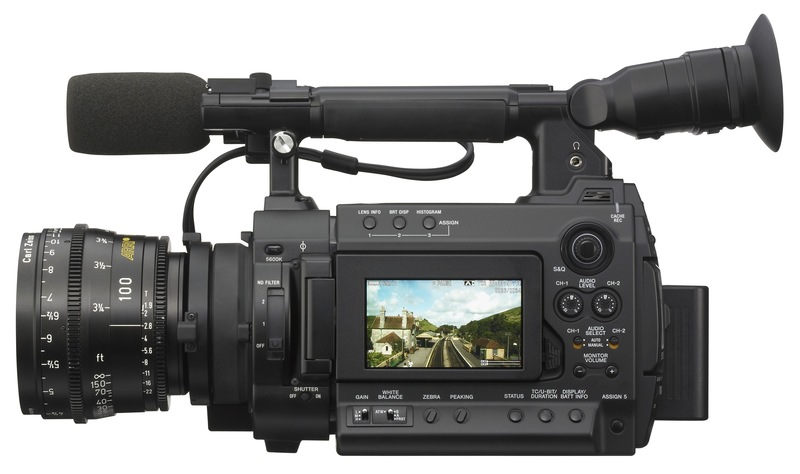 The PMW-F3K camcorder records and plays back high-quality, two-channel 16-bit, 48-kHz linear PCM uncompressed audio. The PMW-F3K uses XDCAM EX’s proven high-speed, intuitive workflow offering seamless integration with leading nonlinear editing software. In addition, 10bit 4:2:2 HD-SDI output opens up hybrid recording possibilities with content simultaneously recorded on internal memory and, in uncompressed form, on a variety of external recording devices. From April 2011, a Dual Link HD-SDI option will enable 10bit RGB 23.98/25/29.97PsF or 10 bit 4:2:2 108050P/59.94P uncompressed external recording – ideal for integration with highest quality production workflows such as HDCAM SR. The PMW-F3K also supports selectable Gamma, four levels of HyperGamma and S-Log for a wide range of shooting conditions from standard to wide latitude. The PMW-F3K can simultaneously record LUT (Look Up Table) information onto the internal media for additional workflow flexibility. 3G-SDI is available for 10bit RGB 1080 23.98/25/29.97PsF or 10bit 4:2:2 1080 50/59.94P output. This is basically operator's view here. Easy access to most all the buttons, expecially the menu. The screen looks a bit small here. Maybe attach a quarter-hd LCD to one of those four mounting holes and jack in the HDMIi from the camcorder. Will ALL the ports be active when recording? That's an important bit of information to know. If the price point is high enough, I'm going to say "Yes." Both SxS PRO™ and SxS-1A™* memory cards use the PCI Express interface to achieve an extremely high data-transfer speed of 800 Mbps – 1.2Gbps, and can resist considerable shock (1500 G) and vibration (15 G). Also, a unique ‘Salvage function’ serves to restore content damaged by power loss or memory disconnection during recording**. In addition, with an optional MEAD-MS01 or MEAD-SD01 Media Adaptor***, a high-speed Memory Stick™ or SD memory card**** can be used as emergency or alternative recording media. * SxS-1A memory cards support fewer re-writes than SxS PRO™ memory cards. Notification is given when an SxS-1 memory card approaches its end of life. ** In some cases, images recorded just before an accident may not be restored (several seconds). No warranty is given on always achieving content restoration. *** Slow Motion and the Salvage function are not supported. **** For information about memory devices, please contact your nearest Sony Specialist Dealer. Utilising a mature and highly efficient compression format together with high performance SxS memory cards, the PMW-F3K can record superb quality HD images for an exceptional 140 minutes* on a single 32Gb update SxS card. As the PMW-F3K features two memory card slots, this recording time is easily doubled to 280 minutes (with two 32Gb cards) and when recording across two cards, the transition is seamless without any frame loss. *When recording in HQ (35 Mb/s) mode, recording time may be more than the above specified figure depending on the actual bit rate that is adopted during VBR encoding. No Infolithium-L here, but gobs of I/O. Take note that the two HD-SDI jacks are "canted" to the side so you can still access the battery and the menu without fighting the wires. Nice touch! 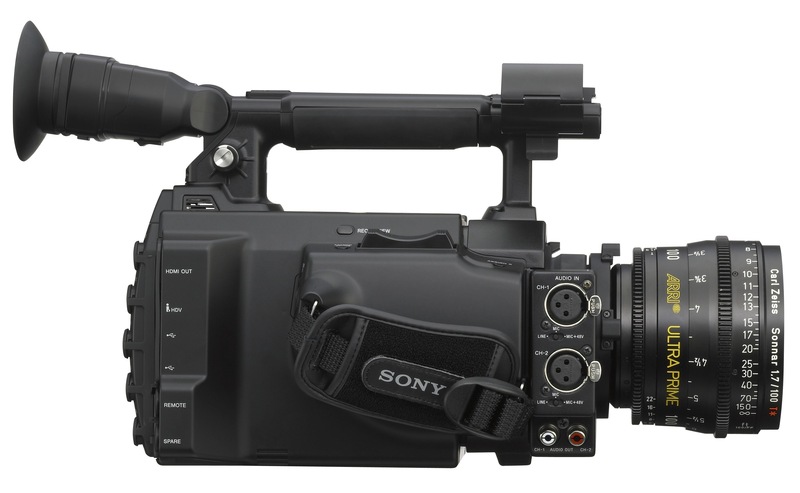 The PMW-F3K is part of Sony’s highly successful XDCAM EX product family which supports a high speed nonlinear workflow. With XDCAM EX, recordings are made as data files in the “MP4” format, which is widely used in a number of recent electronic portable devices and has been standardised by ISO. File-based recording allows material to be handled with great flexibility in an IT-based environment – easily available for copying, transferring, sharing, and archiving. All these operations are accomplished without any ‘digitising’ process required. File-based data copying allows for degradation-free dubbing of footage, which can be performed easily on a PC. The file-based recording system also allows for material to be viewed directly on a PC – simply by inserting the SxS memory card into the ExpressCard slot on a PC or Mac, or by linking a PC/Mac to the XDCAM EX unit via a USB2 connection. This works in just the same way as a PC reading files on an external drive. The file-based operation can dramatically improve the efficiency and quality of your workflow. By virtue of recording on flash memory card, the PMW-F3K can start recording virtually the instant the camcorder is turned on. Moreover, the PMW-F3K automatically records on an empty area of the card – there’s no danger of overwriting existing content. This is extremely convenient, as camera operators do not have to worry about accidentally recording over good takes, and they don’t have to search through footage for the correct position to start the next recording. In short, it means the camera is always ready for the next shot! Each time a recording is started and stopped on the PMW-F3K camcorder, the content is recorded as a single clip. During playback, users can cue-up to the next or previous clip simply by pressing the ‘Next’ or ‘Previous’ button, as you would do on a CD or DVD player. Furthermore, thumbnails are automatically generated for each clip as a visual reference, allowing operators to cue-up to a desired scene simply by guiding the cursor to a thumbnail and pressing the ‘Play’ button. The ‘Expand’ function allows one selected clip in the thumbnail display to be divided into 12 even-time intervals, each with their own thumbnail identifier. This is useful if you want to quickly search for a particular scene within a lengthy clip. Someday, someone is going to put a 5" monitor, or larger, with a really high resolution screen in here for critical assessment right on the camcorder. Tillthen, this looks like it will have to do. The layout of the buttons looks like there's plenty of room for easy operation, even with gloves on. The PMW-F3K is equipped with a newly developed, easy-to-view, colour LCD screen with a high resolution of 1920 x 480 pixels. The LCD screen is located in an easy viewing position on the side of the camera. The LCD Screen can also be used to instantly review recorded footage, as well as access the camera’s set-up menus and view thumbnail display status indications such as audio meters, depth-of-field indicators, and the remaining memory and battery time. What’s more, the Hybrid LCD screen – which comprises transmissive and reflective panels – offers clear viewing even in bright sunlight. The PMW-F3K includes genlock and timecode interfaces, making it ideal for multi-camera operation and entry level HD studio use. Using this option you can easily synchronise timecode, genlock and control functionality with a single cable, locking together left and right cameras to simplify 3D acquisition. *Available from April 2011. I love the copious amounts of room here, two XLR's would better be served facing down, but look at all the connections on theback, including the "SPARE" jack. I love having a SPARE that can give me more functionality down the road. 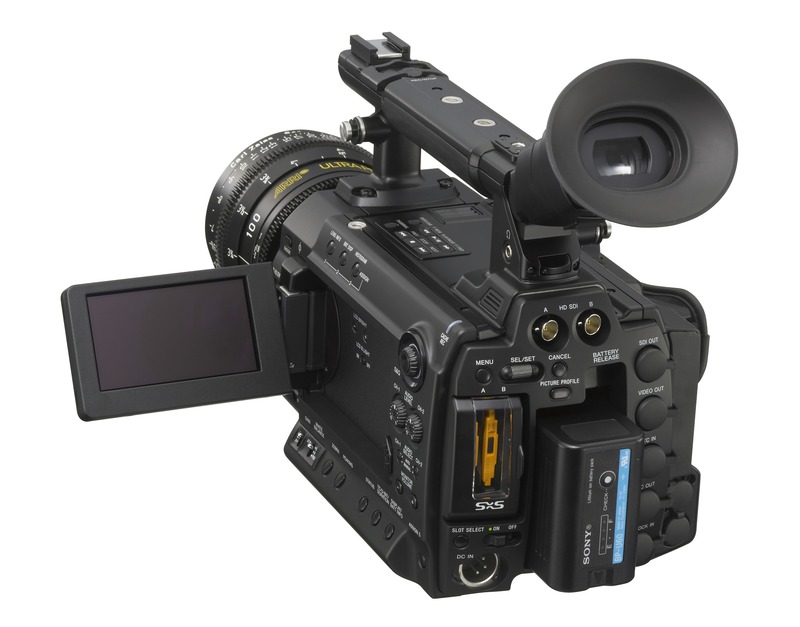 The PMW-F3K offers professional remote control of various camera features via standard Sony 8-pin control interface. This allows use of Sony optional RM-B150 and RM-B750 remote control units offering increased flexibility for studio/location use. The PMW-F3K has a chassis built around its Super 35mm CMOS sensor. 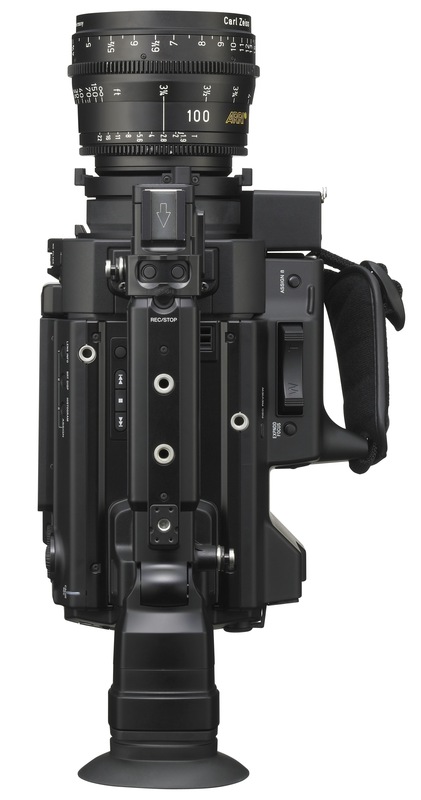 Its lightweight, compact design provides exceptional flexibility when shooting, particularly as a B-camera. 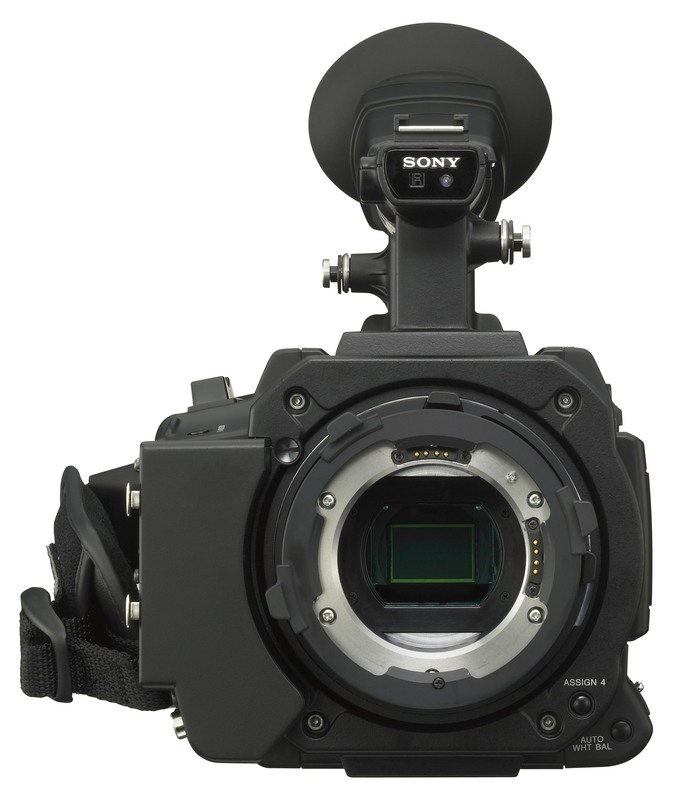 It also offers a ‘best of both worlds’ combination of compatibility with 35mm lenses via a PL Mount adaptor, plus support for a huge range of other Sony and third-party digital cinematography accessories. Sony’s chip design expertise means the PMW-F3K operates with exceptional efficiency with an average power consumption of 24W. This makes the camera more reliable, extends its battery operating time and is also environmentally conscious. With the optional BP-U60 battery attached, the PMW-F3K can record continuously for just under three hours (with dual-link option off). 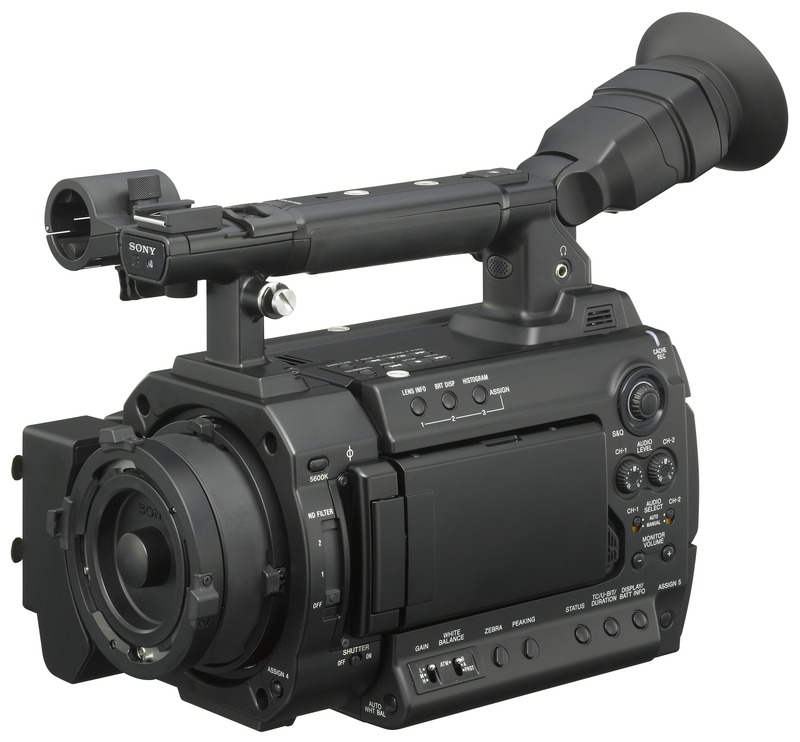 The PMW-F3K camcorder comes equipped with a wide range of interfaces optimised for a variety of operational needs. These include dual HD-SDI output, down-converted SD-SDI output, i.LINK (HDV) input/output, USB2 and analogue composite output. 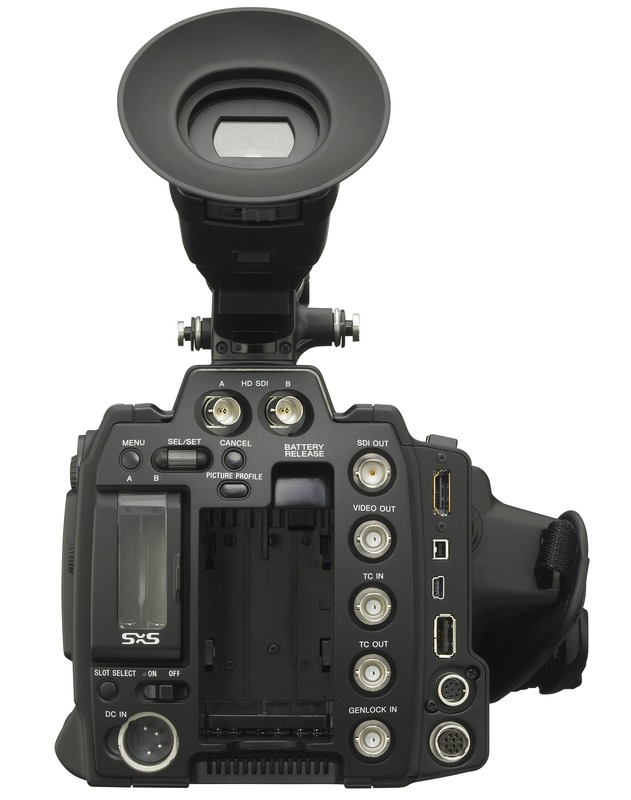 Only SxS memory cards are guaranteed for use with the PMW-F3K XDCAM EX cmcorder. USB based memory cards cannot be used with the XDCAM EX range. USB based memory cards might work with the XDCAM EX range in some cases, but Sony does not guarantee that all the functions will operate. The performance of USB based memory cards can vary. Tentative pricing from Sony Europe is €20,700 (US$28,850) for F3K (with lenses) or €14,500 (US$20,195) for the F3L (without lenses) model – closer in price to the RED One than the AF100. Estimated shipping date is January 2011. Fully rigged up, this camcorder looks ready for the job. Sony has answered a slew of questions about this camcorder on Facebook (of all places). Because of the low Mbps rate of 35 and the color space of 4:2:0, this camera will perform best with an outboard recorder (Nano Flash or Aja KiPro Mino. Is there any power taps on the camera? Any chance Sony will up the record specs to 50 Mbps @ 4:2:2? This camera will hopefully replace my desire to wait for RED to release the Scarlet, so make it good!! !